Where Should Your Data Be Flowing? RDBMSes just cannot keep up with the vast variety of data that modern businesses need to sort in order to remain competitive with their data analysis strategies. So where is all this data going to go? 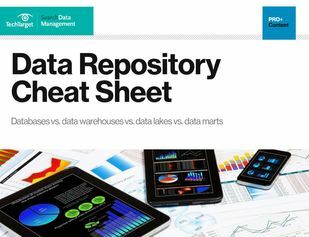 Data lakes, warehouses or marts, operational data stores, etc. - there’s a lot to choose from and it can certainly be overwhelming. We’ve created a simple-to-read cheat sheet to help you decide which repositories should fit your needs. It’s yours - just as soon as you finish a survey for us so we can better understand your data management interests.